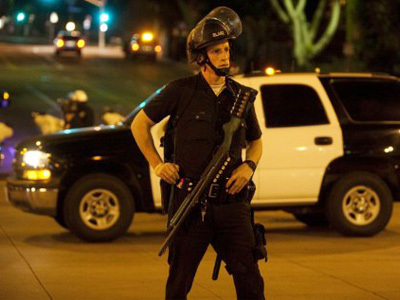 The American Civil Liberties Union has launched a campaign to investigate the growing trend of placing militarized police units in cities and towns across the country. Doors busted down and windows smashed in. 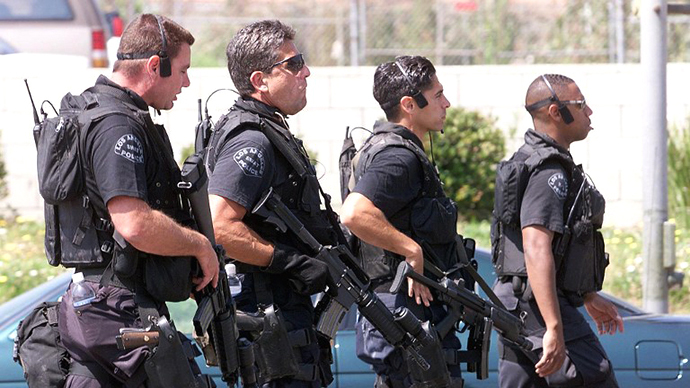 It’s becoming more of a regular occurrence each day in America as heavily-armed SWAT teams are being sent to the homes of suspects, often nonviolent ones, with enough firepower to take down a small army. 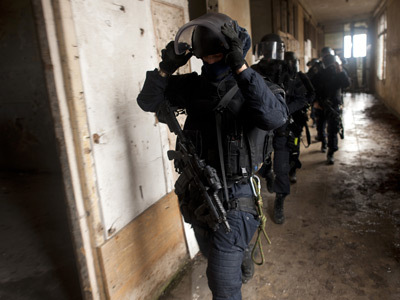 In November, a botched raid ended with an 18-year-old girl in the hospital. Other incidents haven’t been exactly isolated either: guns get drawn on both grannies and grandkids alike, and equipping law enforcement officers with the means to make these nightmares become reality is easier by the day. Police units across the US are becoming more like militaries than the serve-and-protect do-gooders that every young schoolboy once aspired to be. Not only are officers being trained to act with intensity as the number of these home invasions increase, but more and more police departments are being awarded arsenals of heavy-duty weaponry that are then being turned not onto members of al-Qaeda, but innocent children and unsuspecting house guests. ACLU affiliates across the United States filed Freedom of Information Act requests with law enforcement agencies on Wednesday in hope of obtaining as much material as possible relevant to the ongoing expansion of small town police squads to heavily armed squadrons of soldiers. 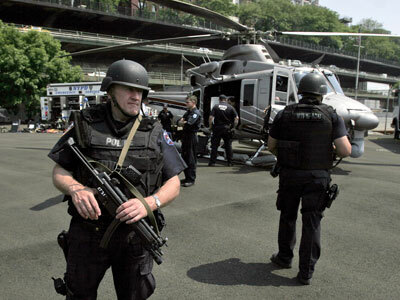 "Equipping state and local law enforcement with military weapons and vehicles, military tactical training, and actual military assistance to conduct traditional law enforcement erodes civil liberties and encourages increasingly aggressive policing, particularly in poor neighborhoods and communities of color," explains Kara Dansky, senior counsel for the ACLU's Center for Justice. "We've seen examples of this in several localities, but we don't know the dimensions of the problem." The ACLU says they want to know as much as possible about the type of training given to local SWAT officers, as well as information about the types of technology used by agencies around the country. Through the FOIA requests, the ACLU hopes to learn what types of weapons have been used, who they’ve been used on and what the end result has been. They also want documentation pertaining to the growing use of GPS technology, surveillance drones and any agreements between local police departments and the National Guard. The ACLU is also interested in any relationships between small law enforcement units and the US Departs of Defense and Homeland Security. "The American people deserve to know how much our local police are using military weapons and tactics for everyday policing," adds Allie Bohm, an advocacy and policy strategist for ACLU. "The militarization of local police is a threat to Americans' right to live without fear of military-style intervention in their daily lives, and we need to make sure these resources and tactics are deployed only with rigorous oversight and strong legal protections." In 2011, the Department of Defense gave half-a-billion dollars’ worth of military machinery that would have been left otherwise unused to law enforcement agencies coast-to-coast. Among the items offered up to officers at no cost at all that year were grenade launchers, helicopters, military robots, M-16 assault rifles and armored vehicles. Before 2012 came to a close, figures for that year was expected to end with more than a 400 percent increase. 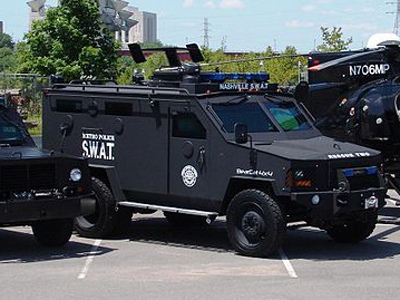 Peter Kraska, a criminologist at Eastern Kentucky University, tells journalist Radley Balko that while the militarization of police squads is indeed accelerating, it isn’t likely the ACLU will get all the answers they want. “My experience is that they'll have a very difficult time getting comprehensive, forthright information," Kraska says. "If the goal here is to impose some transparency, you have to understand, that's not what the SWAT industry wants."